The Hoover Metropolitan ‘Met’ Complex is a premier community recreation and sports tourism destination located in beautiful Hoover, AL. 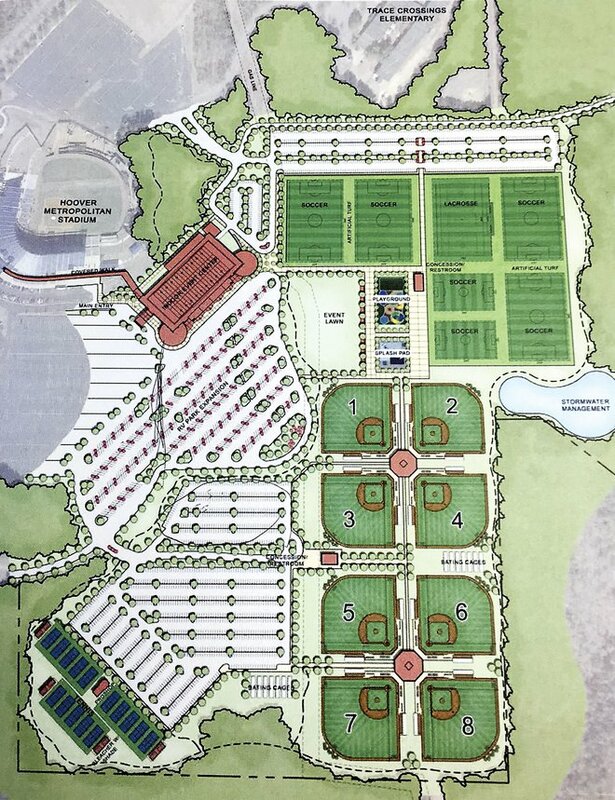 The massive development has something for everyone featuring an indoor sports facility called the Finley Center, the Hoover Met Baseball Stadium, RV park, Clip N’ Climb, and more. 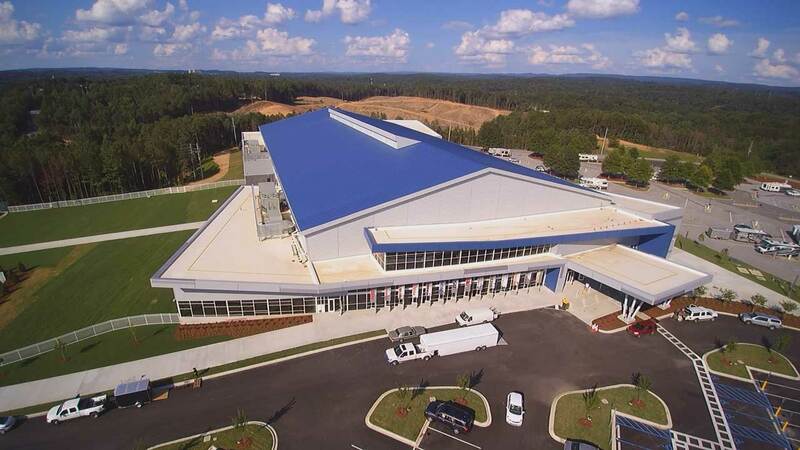 The Finley Center is a 155,000 sqft facility that has 82,000 sqft of uninterrupted space for sports, banquets, tradeshows, exhibits and social events. There are 11 basketball courts, 17 volleyball courts, 3 meeting rooms, full service food and beverage operations, indoor climbing center and a pre-function space. The Hoover Met Stadium is the home of the SEC Baseball Tournament and Hoover High School Football. It has a capacity of 10,800 and can be expanded to capacity of 16,000 with portable seating on the field. The Hoover RV Park features 170 pull-thru parking sites. Each site is equipped with water, sewer and 20, 30 and 50 amp electrical service. Wifi is available throughout the RV Park for guest. The RV Park will be accessible with a pin code for entry and exit which is received upon booking via online (starting June 1st.) There will be daily garbage pick-up. The Hoover RV Park is in close proximity to local restaurants, shopping and entertainment.